86 days. (Indeterminate) [Often called the Brandywine of Europe. This strain was given to The Seed Ambassadors Project by Ulla Grall of Bio-Saatgut in Germany.] Smooth, soft, 6-10 oz. fruits resist cracking. Pleasant, mild, balanced flavor and deep pink color. Please see Tomato Cultural Notes for growing information. 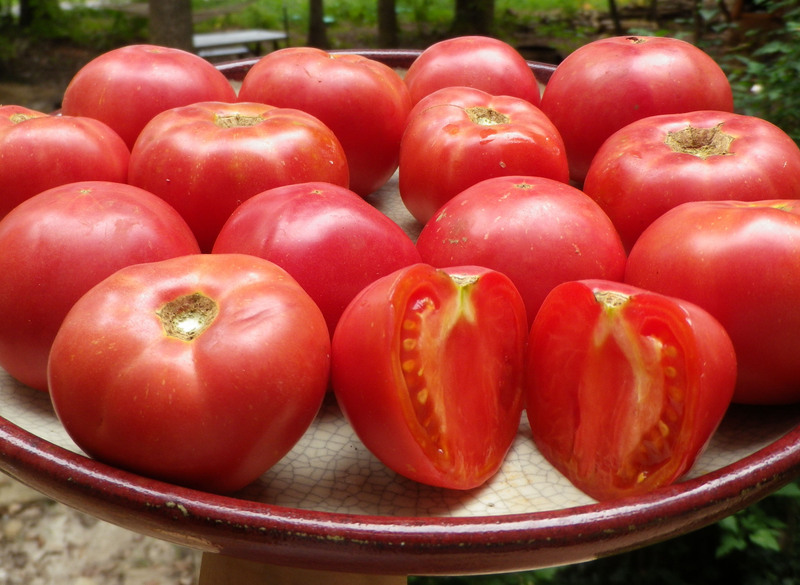 Codes refer to our Key to Tomato Disease Tolerance. Packet: Seed size varies considerably; 0.16 g unless noted (about 40-83 seeds) sows 100 ft.